● Fruit - Apples, bananas, oranges, watermelon, strawberries, mixed fruit, dried fruit and snack packs in natural juice. ● Vegetables – Carrot sticks, capsicum sticks, green beans, cucumber sticks, celery sticks, snow peas, tomatoes, roast veggies or mix it all together and create a yummy salad. ● Grain and Cereal Food – Wraps, sandwiches, rolls and toasted sandwiches, pasta dishes, rice and noodle dishes. ● Water - *juice poppers have very high sugar content. *Sugar sweetened drinks and confectionery should not be provided in lunchboxes. They can lead to excess energy intake and tooth decay. Thank you for partnering with us to promote Healthy Eating. Here's our lastest school newsletter! well. The fireworks display was amazing and because of everyone’s generosity, all expenses were covered. Will begin again next term. Contact us for the appropriate form. Start Week 2 Tues 10th Oct and Fri 13th Oct.
We will finish swimming lessons with a BIG TROPICAL SPLASH POOL PARTY for all grades at the end of Term 4. Enjoy your holidays, and 4th Term commences Tues 3rd Oct.
WE ARE MORE THAN A SCHOOL, WE ARE A COMMUNITY WORKING TOGETHER FOR THE GOOD OF ALL. 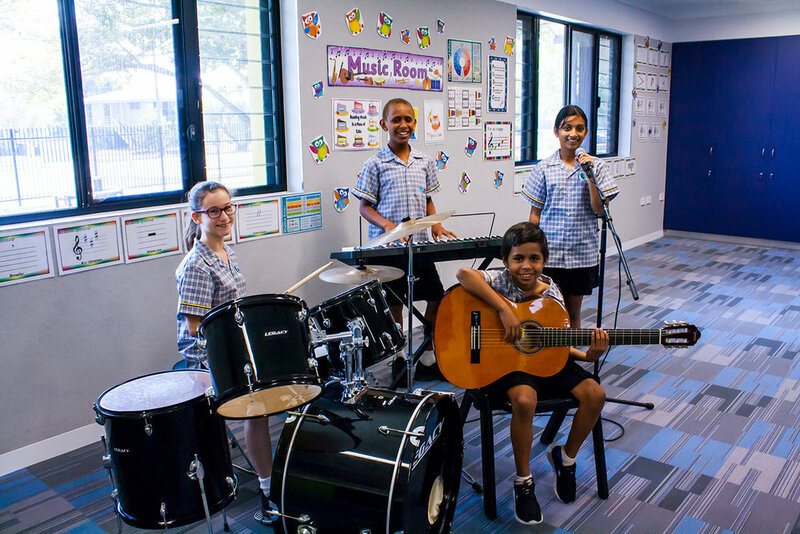 Townsville Christian College has a strong vision to provide HIGH-QUALITY educational programmes, in an active Christian environment that equips and empowers each student to reach their full potential. Our dedicated staff work hard to cater for a range of learning abilities through flexible groupings, including individualised learning plans and tasks. Our students engage in a variety of activities, both curricular and extra-curricular, that combined with our literacy and numeracy programmes, help develop them as a balanced and well-grounded individual. • Leadership Classes – Developing Christian character, values, and life skills that prepare them for their lifelong journey. • Excellence in Sports - Some of our students have continued onto Northern Region Trials and State Championships. • Exciting Creative Arts – Including Music Appreciation for every student. • I.T. – All students have access to personal laptops to develop skills and prepare them for this digital age. • Special Interest Groups - Fun and educational activities, including cultivating, planting and growing plants and vegetables. Here at Townsville Christian College, we understand that some families struggle financially, and we love to help out by offering very affordable fees and scholarships. WE WOULD BE DELIGHTED TO HAVE YOU COME AND VISIT WITH US TO SEE OUR AMAZING SCHOOL.